The mint-harissa-mustard marinated Halloumi will also taste delicious grilled on the BBQ in the summer. Yum! 1. Prepare the marinade by blitzing the mint, garlic, lemon and mustard in a food processor to make a paste. 2. Add the halloumi to the marinade and set aside for 30 minutes. 3. Mix the ingredients for the dressing in a separate bowl. 4. 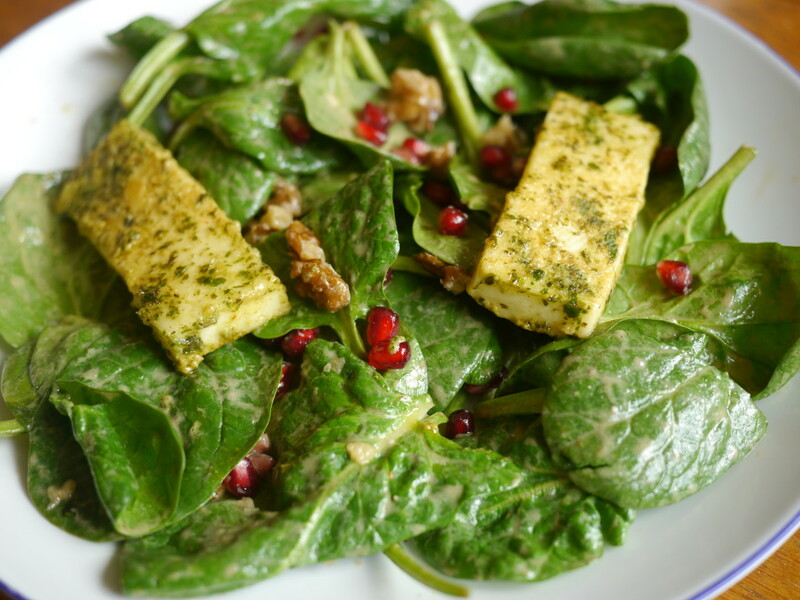 Combine the spinach, pomegranate, walnuts and dressing in a salad bowl/spinner and serve on to your plate. 6. Serve over the dressed salad. 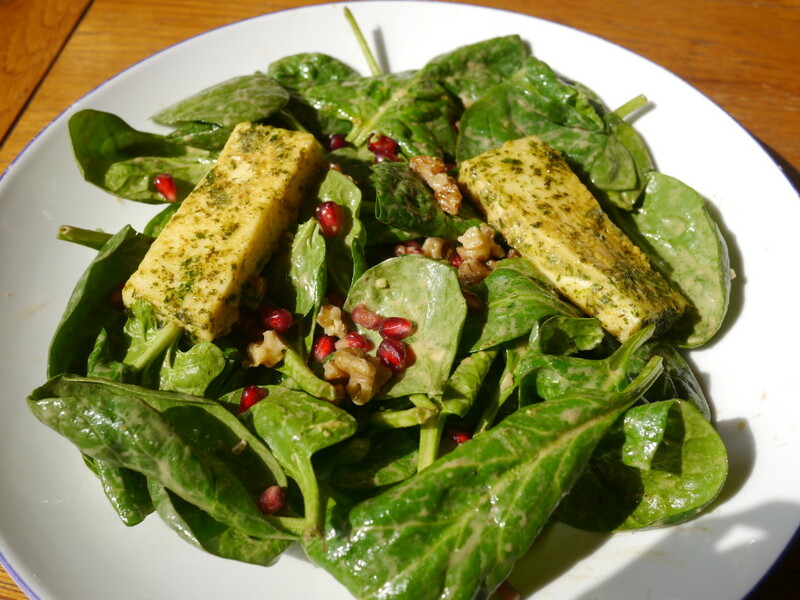 This salad is tasty, healthy and ready in minutes. Try it and let me know what you think. 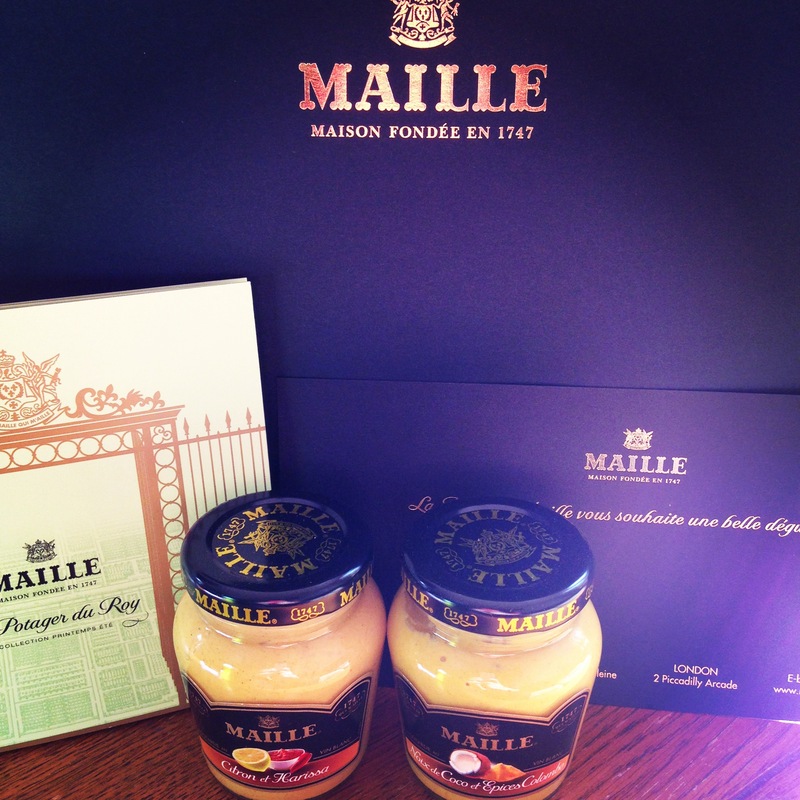 Thank you, Maille for inviting me to take part and sending these fabulous flavours through. I will be posting another recipe soon using the Maille Coconut and Colombo Spices mustard – watch this space for more! Hi Deena, Thanks for your comment. I love halloumi too and it tasted lovely with the mint and mustard. Will definitely be grilling this for the next BBQ. Hope you are doing well!